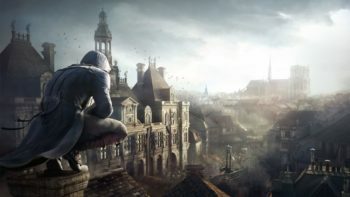 The premise behind Ubisoft’s upcoming game, Watch_Dogs is that all of us are essentially living in a connected world. In order to bridge the gap between gameplay and reality, Ubisoft announced the launch of an experimental website called WeareData. WeareData consists of different databases of information on certain major cities (currently Berlin, Paris, and London). Through the use of 3D mapping, the site displays all kinds of publicly accessible information from social media posts to traffic cameras and Wifi hotspots. It also offers a wealth of socioeconomic data that will give you an insight as to how people are living in each city. The goal of WeareData is to push a new perspective, one that emphasizes just how much information is at public disposal and how many parallels can be drawn between the fictional world of Watch_Dogs and the real world. If you’d like to check out the site, you can do so here. Watch_Dogs is set to hit PlayStation 3, Xbox 360, PC, and Wii U on November 22. Xbox One and PlayStation 4 versions still don’t have a set release date.